Molissa Farber open-shoved all in on two consecutive hands. On the first, nobody called, and she picked up the blinds and antes. The second time, Jason Bigelow called and turned over . Farber showed , and the players were in a virtual coin-flip. The board ran out , and Bigelow won the pot with this pocket tens. 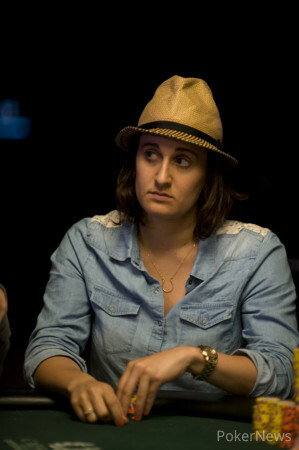 Farber was eliminated in 11th Place, earning her $26,128. 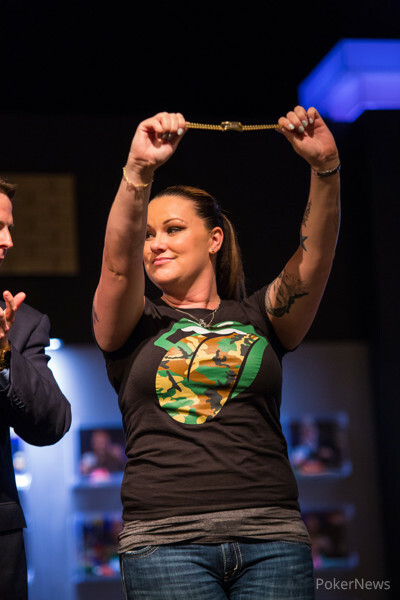 The remaining ten players will now redraw to a single table.